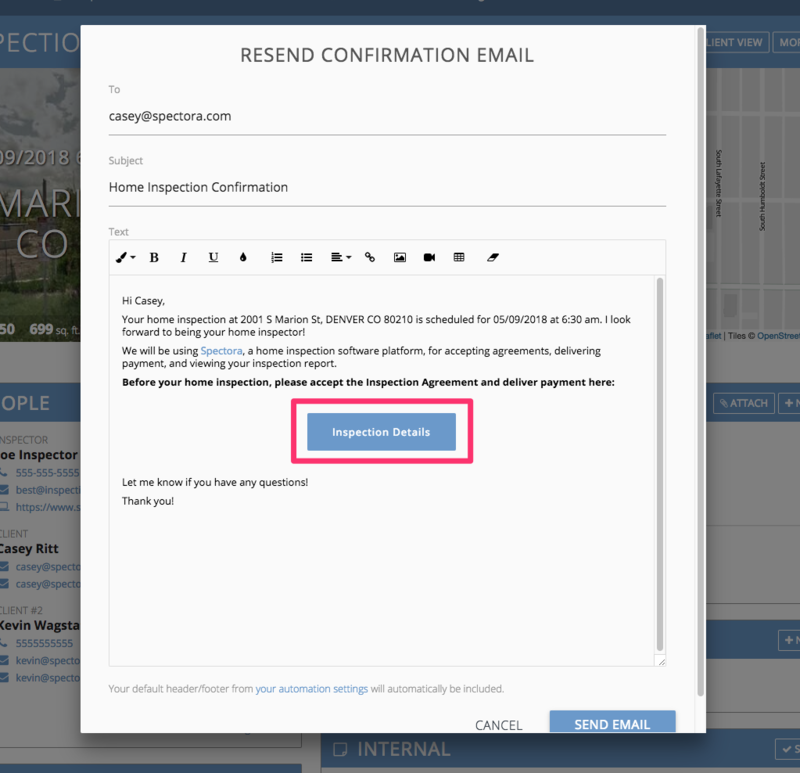 Want to resend the confirmation email to a client or agent? 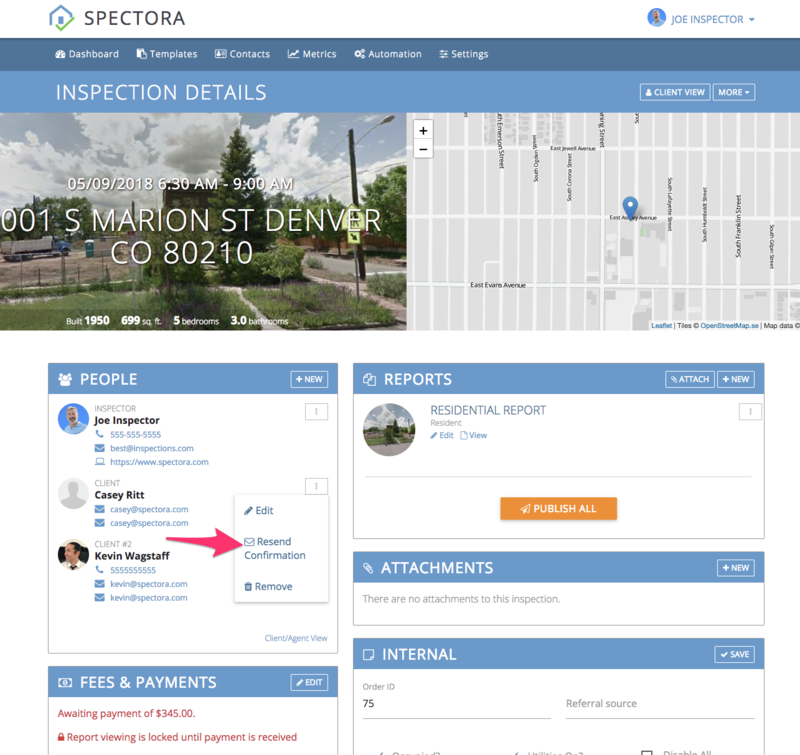 Want to send the link to the client inspection page to someone? 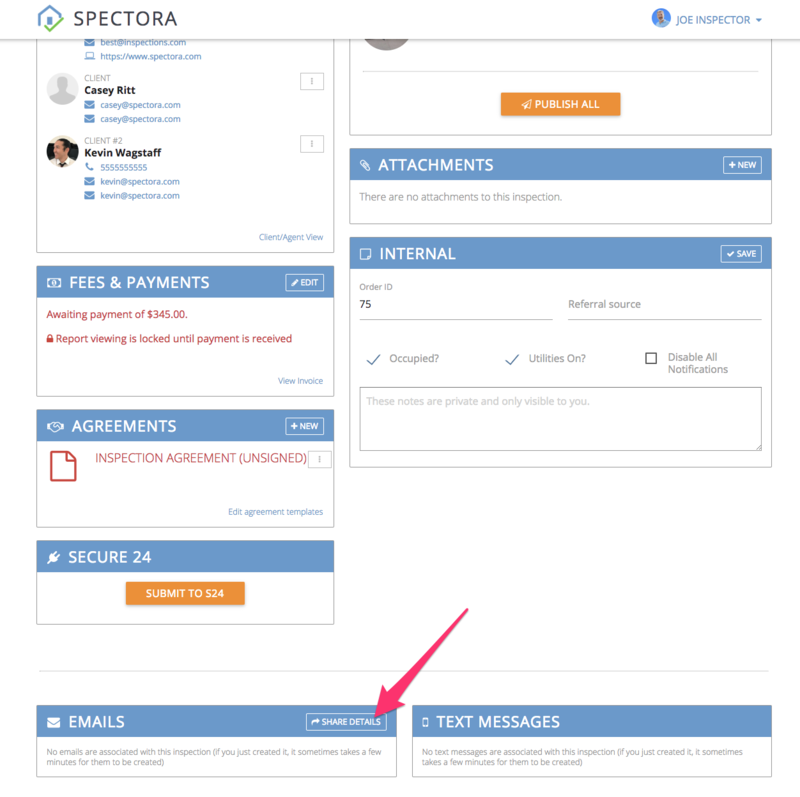 It will bring up the same interface, which you can edit before sending!